So - Arnie and Linda Hamilton on board, direct follow up to T2, Deadpool's Tim Miller at the helm and script by producer......James Cameron. SolarisOne and saddestmoon like this. Wake me when the reviews are in. Seriously, after the last three I refuse to even *consider* getting excited about a Terminator movie ever again. Don't care who's in it, don't care who's writing or directing it and I certainly don't care if Cameron approves. ELURIA, Turtletrekker, Captaindemotion and 2 others like this. I loved all the terminator movies (and the series), although movie three less than the others. This is great news, what are we talking about? Two or three years? I kinda like T3, it's fun and alright to have on in the background. The last two though made me angry for wasting money on Salvation and time on Genysis. I have no idea (obviously) but I'm not gonna hold my breath. It's the first movie in a new trilogy of a Terminator films! Gaith, Captaindemotion, Ethros and 1 other person like this. I'm good with this. Even as one of the few fans of Salvation, we haven't had a great Terminator since Judgment Day. Cameron isn't actually directing, so it might not be so bad, even if Judgment Day was his best film. Just keep him away from the script. That being said, I'm not holding my breath that it'll be any good until after I've seen the film and proved me wrong. I actually liked Genisys.. was a fun summer SF flic, nothing more, nothing less, as for a new trilogy, we'll see where it goes, and also squeeze in a new Sarah Connor Chronicles..
Other than Genisys I like all of the other 4 films in the saga and enjoyed the TV series. Rise of the Machines is necessary cause otherwise Kyle never comes back. Despite whatever elements the haters have with it, it's still a solid film and integral in moving the story along. Salvation, likewise is necessary as it begins the Future War. The film ends with Bales' Connor now in position to be the leader we've been hearing about since the original. Genisys is a fanwankery script written by someone who thought they could "fix" what they and a writers room of haters had with RotM & Salvation. Continuing the Future War was the logical way to go. Ignoring T3&T4 because your James Cameron who's ego is bigger than the Tree of Souls is not the way to go. I'm less interested actually James. The Lensman, Markonian, Kitty Worrier and 1 other person like this. 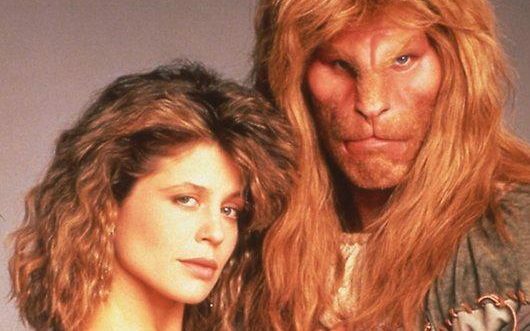 I used to have a heavy crush on Linda Hamilton back in the day but she must have/had a serious chain-smoking habit because she looks incredibly bad for her age. Even worse, pound for pound, than Carrie Fisher. I can't think of anyone with more wrinkles than she has other than maybe Michael Keaton, whose reptilian skin was distracting in Spiderman. 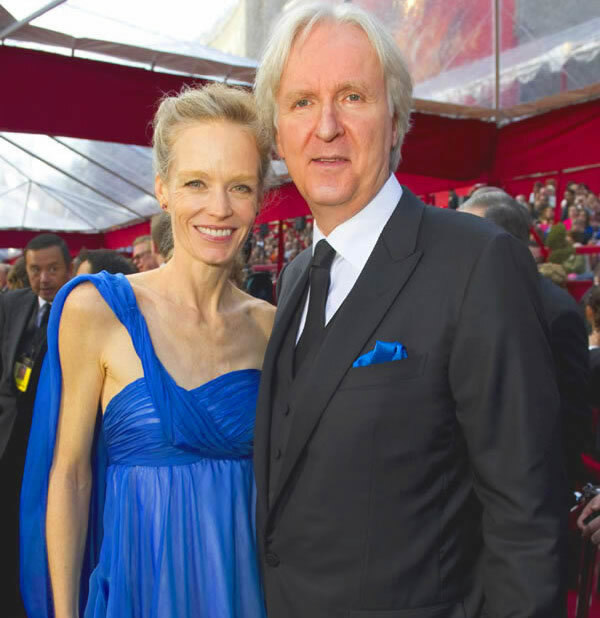 I know she was married to James Cameron briefly and I bet he'd like to give her a big paycheck, but it would just be very hard to bring her back, not unless they moved the storyline so far forward that she's playing someone even older than she is in real life to mask her wrinkles. I mean, this is what she looks like these days and that's under the most flattering stage makeup. I love the sentiment of it all, but I just don't know if it's going to work. The best part of Genisys to me was Emilia Clarke's Sarah Connor. I thought she did a great job with what she had to work with. Really pitch perfect, not just an imitation of Linda Hamilton. Wish the same could have been said about Jai Courtney and Jason Clarke who were both miscast. And Arnie was basically reprising the T2 style good-guy role. Total fan-service and a convoluted Back to the Future 2 style script but I was willing to go along for the ride. I'd say the most charitable way to put it is that it's a decidedly mediocre, almost entirely forgettable movie that's *almost* but not quite saved by a surprisingly interestingly unconventional ending. You say that like all of those story elements weren't already firmly locked in with the first two movies. We didn't need to see it and the weak plot of that movie just proved that there was very little of substance left to cover. Actually I think the basic premise was an interesting one and for the first ten or twenty minutes I was intrigued with the notion of a reboot/remake that uses the time travel gimmick in a novel way. Redoing the events of the first movie, but with the Sarah/Kyle roles reversed is a great pitch. Unfortunately the script was awful and the whole thing fell apart in act two and only got progressively worse after that since they clearly had no clear idea where they were going with any of it. Kathryn Bigelow was lucky. She escaped before James Cameron sucked the life force from her. The good news is, if this one fails we'll have a trilogy of trilogy starters. That's almost as good, right? I'm not expecting much, but I'm still on board. Even after the barely-passable T3, the absolute garbage of T4, and the try-hard-but-not-in-a-good-way T5, I'll always hope for the best when it comes to The Terminator. They can't make anything as good as the first two (literally, it's impossible! ), so the pressure is off to be better, just try and be any good. Few people look like Bigelow at 65. I think this movie should ignore the previous 3. I'll watch it because I like Terminator. I actually loved Genisys and was sad it never got sequels. But I'm not for one second expecting this trilogy to go beyond part 1. Terminator will be the graveyard of unfinished trilogies. SolarisOne and Kitty Worrier like this. I was disappointed that Genisys seemed to ignore the TV series. No mention of Kyle's older brother Derek. "He looks just like you, dad!" No mention of Zeira Corp, not even a cameo by a flesh-and-blood Catherine Weaver. Why wouldn't it? It ignored everything after T2. Just as SCC itself ignored T3. And T4 ignored SCC. Everyone ignores everyone else.